320) This is a very unique mailbox, for two reasons! 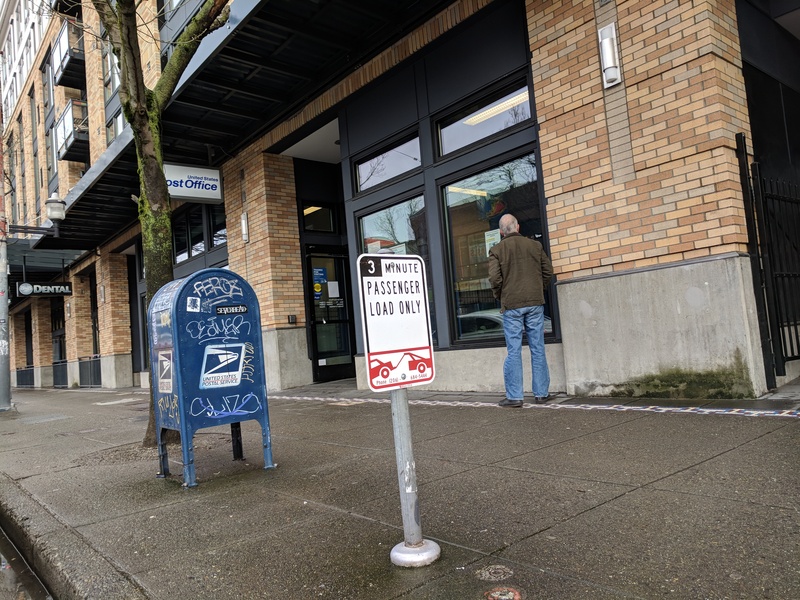 First, it is the ONLY box servicing the Portage Bay neighborhood, which is quite a responsibility. 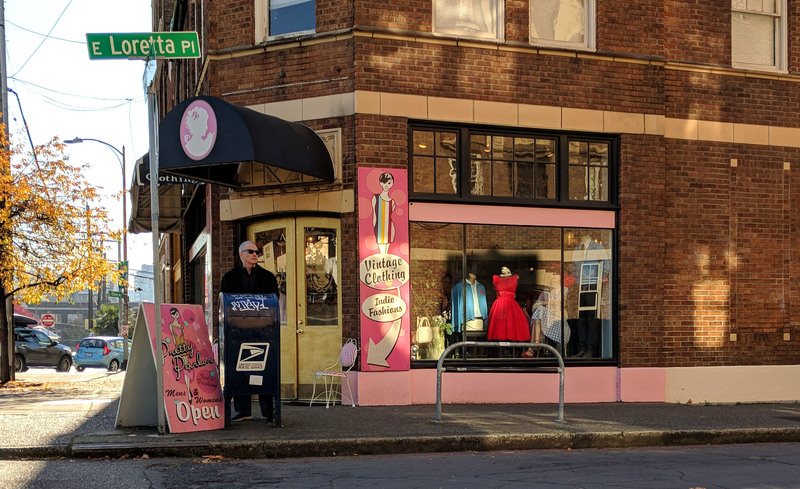 Second, I’m pretty sure it’s the first box I’ve found that sits at the intersection of two avenues. 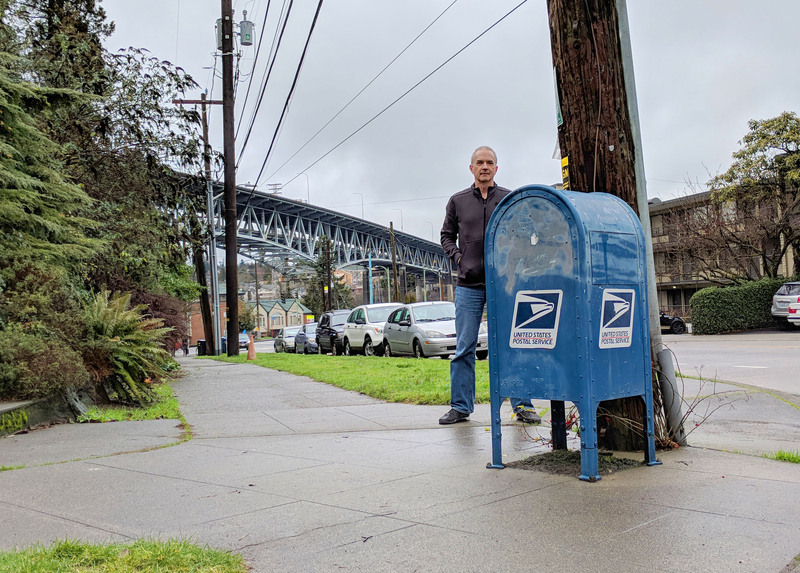 Faithful readers will know that the vast majority of Seattle boxes sit where a street meets an avenue, with the occasional boulevard thrown into the mix. Or maybe even a “way!” But two avenues? That’s freaky. 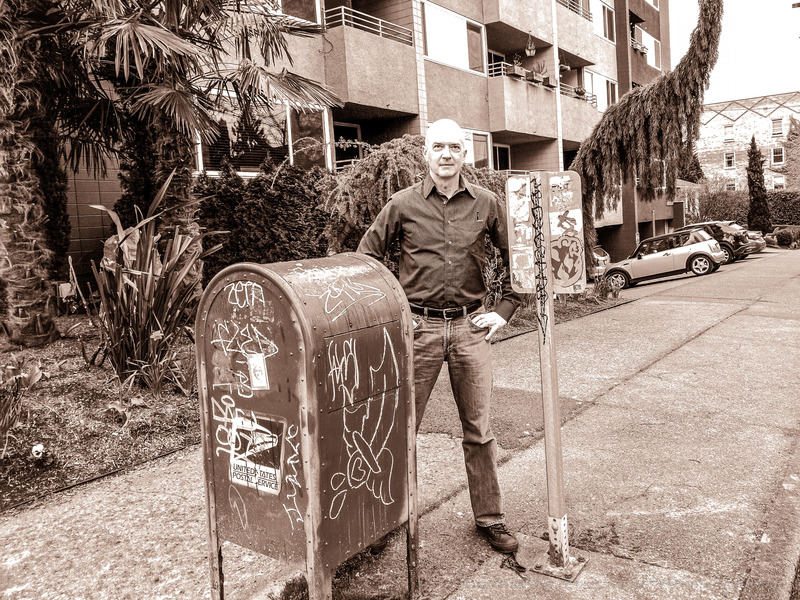 316) Yeah, I’ll get back to posing with mailboxes soon. Gotta take care of something else right now. 300) And here we are, box number 300! 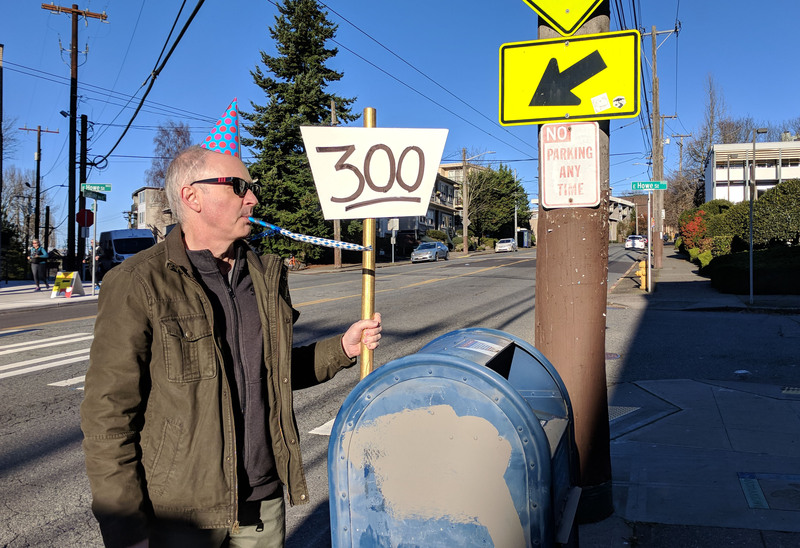 As you can tell, it was a real party atmosphere at this fine Eastlake box this morning… hats, noisemakers, signs… we had it all! The box was very proud to be selected for this significant milestone, though he was a bit disappointed there was no cake. 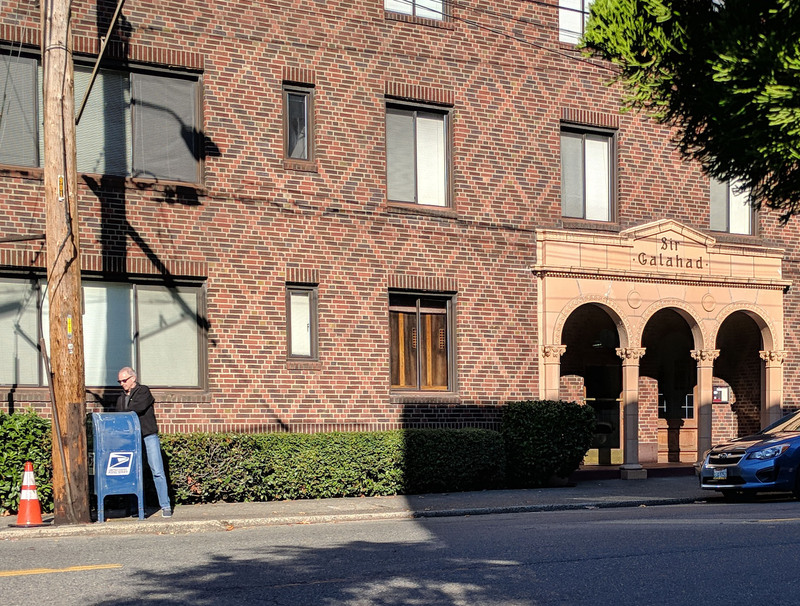 250) Capitol Hill Loop (4/5)  Holy smokes, this is the 250th mailbox I’ve posted! I’m happy that this monumental occasion features a lovely box surrounded by such colorful signage. I’m also happy that it features a street that I’ve probably been by 1000 times but never before noticed. Loretta Place? Who knew! 247) Capitol Hill Loop (1/5) — To celebrate the start of a new month, I’m going to take you on a special adventure! 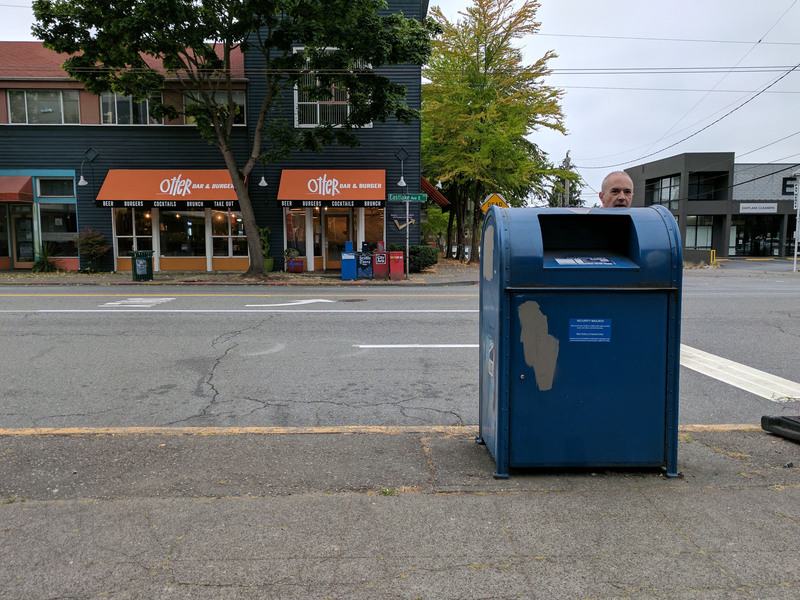 My map showed me a set of five mailboxes that were in a very convenient loop, so I decided to visit all of them one afternoon and create a thrilling five-part series for you! The first one is outside the regally named Sir Galahad apartments. The box itself was not very regal, in fact it was kind of boring. Oh sure, nice enough, but it didn’t really live up to the pageantry of being next to something like the Sir Galahad. 172) This mailbox is sad. Sad because for so many years, it had to watch from across the street as person after person ate gooey delicious cinnamon rolls at Louisa’s. Oh, how the box wanted one of those rolls. How it dreamed of the butter dripping down the side, mixing with the sweet, sweet frosting. Unraveling the layers of dough until reaching the golden center, perhaps one of the most treasured moments in any one person’s culinary journey. But Louisa’s is gone and has been replaced by a burger joint. Sadly, the box now wants a burger. 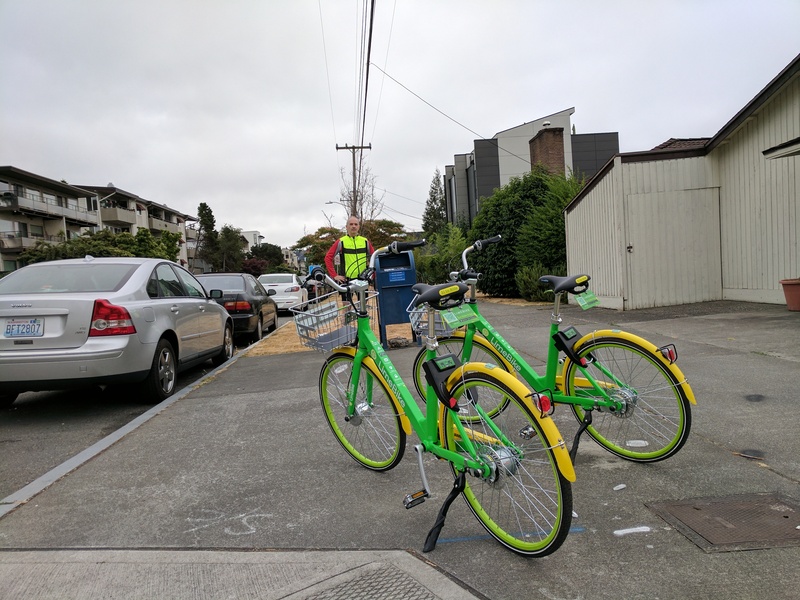 170) In recent months, two bike-sharing companies have moved into town and scattered 1000 bikes throughout the neighborhood. I’m all for biking and sharing is certainly swell (except for pie… I don’t share pie), but damn it, I get a bit ruffled when then neon doohickeys clutter up my shot. Here I am just trying to capture a moment with this fine Eastlake box, but these two thingamajigs just have to crowd into the shot. 20) So what’s with the funky photo treatment? 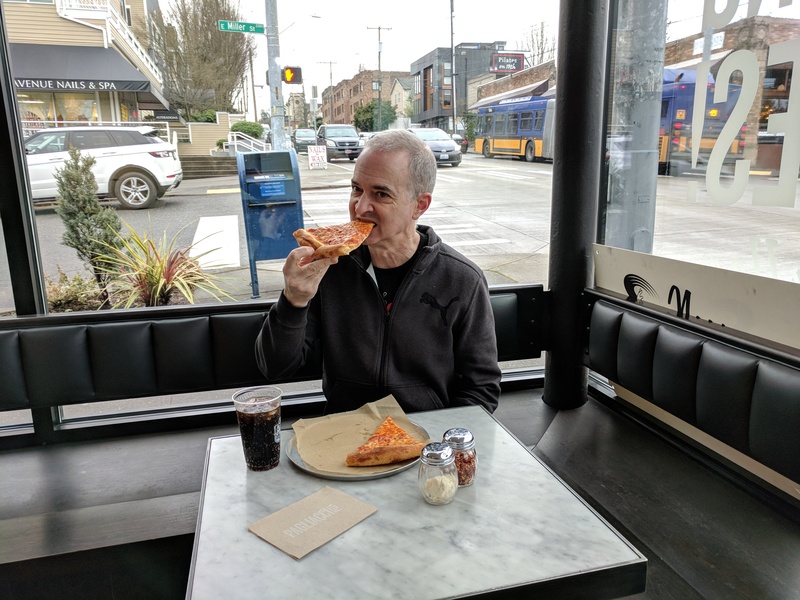 Am I trying to make some statement about the grittiness of the Capitol Hill neighborhood? Am I reflecting the starkness of the human existence? No, nothing quite like that. I visited this box at Boylston Ave E and E Republican in the early evening, just when it was starting to get dark. The lightening apparently confused my camera, which overcompensated by totally blowing out my forehead. Applying this rough sepia filter is just my way of covering up for an otherwise bad photo.